If you're headed to PAX this week like a good chunk of the Co-Opticrew, you're gonna want to get your hands on Left 4 Dead 2's newest campaign called Dark Carnival. Valve has confirmed both the Xbox 360 and PC version will be on display at Microsoft's and Valve's booths. They also plan to show some of the 20 new weapons and items the sequel plans to add. 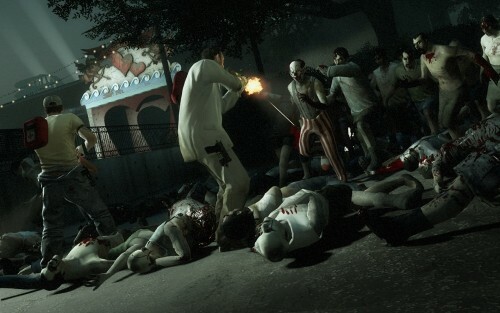 Dark Carnival is the third of five campaigns in Left 4 Dead 2, the previous two being set in a swamp and a New Orleans style town. Of course with a undead carnival there's going to be zombie clowns, which means - well if you are afraid of live ones - I can't imagine the nightmares you'll have from undead ones. Page created in 0.3067 seconds.